The human body is made-up of nerves which are a bundle of fibers that send/receive messages from the brain to the body and vice versa. These messages are generated owing to the chemical and electrical changes in the cells belonging to the nerves. 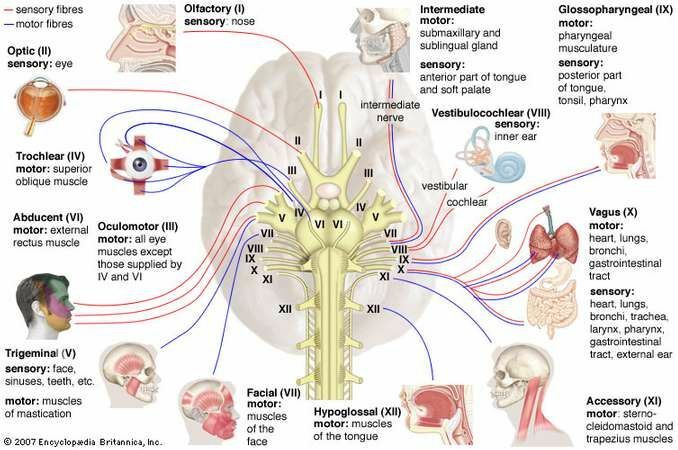 The following figure shows the Cranial nerve and its functioning. Researchers over the years have been trying to study the human body and develop functionalities in accordance with it. As the understanding improves, biomaterials are being engineered which have chemical, biological and physical characteristics for use inside the body. In line with this, in a collaborative work between Stanford University(USA), Seoul National University (S.Korea), Kyung Hee University(S.Korea) and Nankai University(China), researchers have emulated a sensory(afferent) nerve. The “neuromorphic” sensory system was designed using a flexible organic electronic circuit which comprised of pressure sensors, a ring oscillator, and an ion gel–gated transistor. This artificial mechanoreceptor was used to control an insect’s disabled leg and distinguish the braille characters. An afferent nerve brings a sensation of touch, pain, or temperature variation to the Central Nervous System(CNS) and Brain. It conveys the impulse which can be used by the Central Nervous System(CNS) for an organism to perceive its ambient and self. 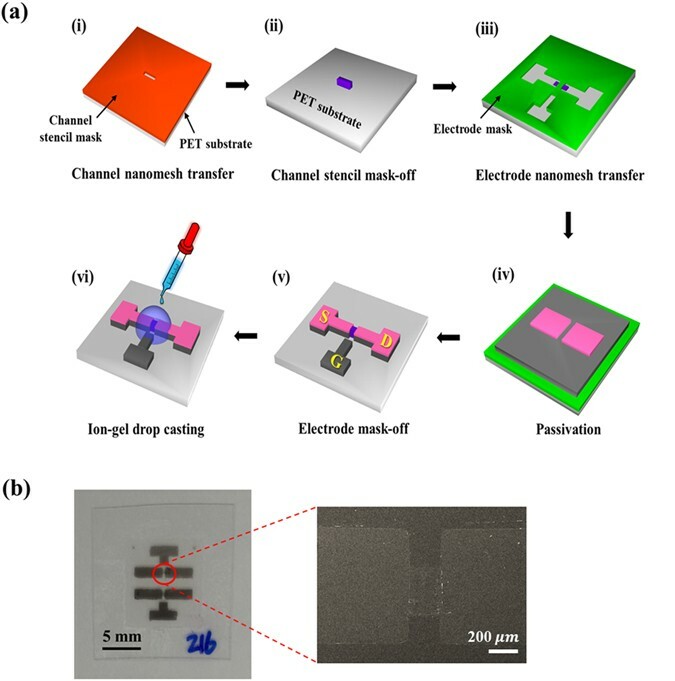 An ion gel–gated organic thin film transistor is able to achieve higher-capacitance. This due to low deep-trapping of holes and quick/short-range motion of cations & anions near the interface and slow ionic diffusion over a longer distance. In this work, a biomimetic structure can detect movement of an object and combine simultaneous pressure inputs for distinguishing braille characters. The emulated artificial afferent nerve collects pressure information (1-80kPa) from the pressure sensors and actuates(0-100Hz) it using ring oscillators. It integrates this further using multiple ring oscillators with a synaptic transistor. Owing to this, the system has potential in domains like neurorobotics and neuroprosthetics. Woah that web site is superb i enjoy reading through your content. Continue being inside the great work! You understand, plenty of people need spherical due to this info, you may assist these tremendously Plastic Artificial Eyes.